Wow… I am actually writing a race report. This means I actually finished a race that involved me running. YAY!!! The Pacific Half Marathon is a relatively local race that is fairly challenging due to the hills. This was the first time I had run the course but I had re-run some of it and I was fairly familiar with the whole course. My expectation for the race was to hopefully run under 2 hours due to the hills. My race plan was to run to feel, run even, run hard, and not walk any of the hills. I conveniently covered up my watch so I wasn’t able to see my splits or HR data and I just ran to feel. Below are the details. I am THRILLED with the race! I ran 1:52:12, 8:33 min/mile, even with all the hills! That pace is less than 10 seconds off the pace I need for Mountains to the Beach at the end of May. It was a hard race but I was never working outside of myself. This was the confidence boost I needed! Only issue I had was a small amount of knee pain when running down one of the hills later in the race. That has me a little bit concerned since the upcoming marathon is mostly downhill, but not as steep as the section that hurt. Best part of the day was having a stranger come up to me at the end complimenting me on running a good race (he couldn’t catch me). My run was good enough for 10/124 for my age group, 38/676 for women, and 168/1381 overall! I am still here! I promise!!! Life has been busy so here is an update on all things Becca. My training is humming along. My fist big race of the year is coming up in May. I am running the Mountains to the Beach marathon in Ojai/Ventura and I am hoping to qualify for Boston again. I have to say, I am not totally sure it will happen this time. I am still working on my speed and endurance. I was thinking during my long run this last weekend that as long as I only have to really suffer during the race for 60 minutes I think I can manage that. Luckily I still have 11 weeks to prepare so there is time! The road to recovery has been slow! I am starting a coaching business. I have some long term goals to transition from my normal 9-5 line of work to work that is full of my passion, endurance sport! If you are interested in working with me head over to Head Down, Do Work coaching. I will have my USAT Level 1 certification complete by the end of this month! I already have a few clients and I am really enjoying it! That is what has been keeping me the busiest lately! As always, my Instagram is probably the best place to see what I am up to on a daily basis since my blogging is seriously lacking! Not gonna lie, I had big plans for 2017. Unfortunately, blowing out my calf in February took me out of every race after that. No Boston Marathon and no Ironman Wisconsin. It was quite a bummer. 2017 totals are below and my race schedule for 2018 is updated on the blog here. I am happy that I managed to finish the last couple of months of 2017 very strong and I think I have set myself up to hit 2018 running, not walking. Graphic by SportTracks, my source of truth for all my activity data. OK. I survived! I used the TrainerRoad 6 week Sweet Spot Base Mid Volume I training plan to work on increasing my FTP and it was super successful! I did an FTP test when starting the plan and tested at 175 watts. I was pretty sure I just had a bad test (I am new to the 2 X 8 minute test) so I trained at my previous FTP of 185. There was only one workout I had to dial back and I only traded one workout for an outdoor ride sue to travel. Essentially I rode my bike 5 days a week as prescribed! I did my FTP test yesterday and NAILED IT! New FTP of 194! I am getting closer to 200! I am moving on to the next phase for the next 6 weeks. After that it is back to working with my coach to fine tune things for my upcoming races. First big one will be Mountains to the Beach Marathon where I hope to punch my Boston ticket! I am planning. Honestly, I never really stop planning. It is no secret that my goal is to qualify for Kona. Earning a spot to Kona is dependent on how I place at a race. It isn’t just based off a time, like the Boston Marathon for instance. But that hasn’t stopped me from setting some goal numbers that I think will put me in the best possible position to earn that slot. I am a big believer in stating my goals out loud; it keeps me more accountable. So here are some numbers I am working on. FTP (Functional Threshold Power, how strong I am on the bike): 200 watts. Currently at 185 so I am getting close! Normalized Power: “An estimate of the power that you could have maintained for the same physiological “cost” if your power had been perfectly constant, such as on an ergometer, instead of variable power output.”- Training Peaks. I want to push 160-170 watts per Ironman ride. Weight: 125 pounds. 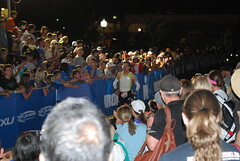 I got down really close to this for Ironman Arizona. This is all about clean smart eating. Currently hovering close to 130. 100 yard swim pace: 1:30/100 yard for an easy/moderate effort. Currently swimming happily around 1:37ish/100 yards. Marathon Time: 3:40. I have run this before, and as long as this recovery keeps going well, I will run it again (hopefully in May!). Ironman is such a big race that I have to break it down into manageable chunks or it is just overwhelming. I really hope to put this all together in the next couple years (before I turn 45 would be awesome!). I have no real races on my calendar until May. Therefore I made the tough decision to take a break from being coached and manage my training myself and with the tools I have available. As soon as I start training for my marathon in May I will start back up with Jen. She has done so much for me and I believe in her training. I just needed to give myself a break when there was no upcoming race. My plan for the next couple months is to use the training plans available in TrainerRoad to work on my cycling, run as much as I comfortably can, and swim around 10K a week. The running is coming along pretty well. I had a tough week in early October where I was convinced that I may be developing another calf tear. So, I backed off for a couple weeks and then went back at it. Lesson learned, I need to take a recovery week while building up my running volume. The most excited thing I am doing is using the Sweet Spot Base Mid Volume 1 training plan from TrainerRoad. The way the plan works is pretty slick and I am really enjoying it! I didn’t have a great FTP on the first day so I kept my original FTP and so far I am completing the workouts as prescribed! It will be great to see how I respond after the 6 weeks. 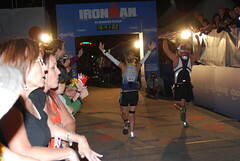 This year has had it’s ups and down but I completed my “A” race while in Kona! I had been training for this since chugging beer is new to me (despite what you may assume about my college days). This race is a bit of a secret and luckily I overheard some talk of it at a party on Friday night Kona. Sunday at 5! So Sunday, we packed up out gear and headed over to the race venue. The race was a bit harder than I expected. I had only trained up to two beers and found that beers three and four were much harder to get down (mental note for the next time I race). You can see in my splits where the wheels started to fall off the bus. The odd numbered splits are beers, the evens are running. I did an extra lap at the end because I puked while getting my 4th beer down. #respectthebeermile. Overall I am happy with my race. Since this was my first beer mile I was just happy with a finish! Oh, and there were a couple of pretty seasoned athletes there as well. One of them even tweeted about my performance! It has been a really tough month (or 9). The injury has been harder to deal with than I ever expected. Pretty much every goal or race this year has been abandoned. I did get to do a Olympic Tri Relay with my husband and kid (we took second!) so that was awesome. And my running volume is getting back up there (slowly). Yesterday I felt a twinge in my other calf. Being a parent is a million times harder than I ever expected. Work could be so much more satisfying. The world is a scary icky place right now. Yesterday, I was ready to quit all of it. Curl up on a ball and hide from the world. In my social media world I really try to show all the good in my life. And trust me, there is a ton of good. But right now I want to own up to the fact that quitting sounded amazing yesterday. Thank goodness for a good night of sleep. Today I don’t want to quit. Today I want to make it all work. Today I am re-prioritizing my world. I will achieve my goals. The only change is the priorities of those goals. It was all about Kona and Boston. I am realizing that I need to work out my career situation first, and then those other goals will have to come a bit later. I am at peace with this decision. I can work with this. I can make this happen. Next week I am off to Kona to soak the whole experience in! I promise to share all the amazing things that happen out there. Thanks for following along! My running recovery (#beccasreturntorunning) is finally going well! I have been very patiently, and slowly, increasing my running volume and frequency over the last 5 weeks. This week I am hoping to actually run (slowly) 2 miles straight outside! I have a couple of races on my radar but I have a a few other “things” I am working towards. #beccasreturnrunning has begun and will be complete when I punch my ticket for Boston again. I have CIM in December but I think my best chance will be at the Mountains to the Beach Marathon in May 2018. #beccasbeermile is a new one. I have the incredible good fortune to go to Kona this year to see the Ironman World Championships!!! (pinch me!!!) While I am there I am hoping to participate in the super secret beer mile (don’t tell anyone, mkay?). To properly prepare for this “event” I have devised a training program that is two fold. One, I need to train to run with a belly full of liquid. I plan on doing quater-mile repeats while pounding seltzer. There is no way I can consume all that beer on a regular basis! Two, I need to practice my beer chugging skills. I am thinking once a week (when I drink my one beer a week) I will chug it. PBR for the win! #UPR, the underpants run. The other cool part about going to Kona will be the Underpants Run! A few pounds have crept on to my body while I have been injured so I am working hard for the next 8 weeks to shed that extra weight in preparation for the #UPR! Training for traditional events will return soon, but for now I need a few “goals” to keep me focused!